While plenty of American talent has been recruited by various teams for Australian Supercross 2016, Yamaha have chosen a strong all-Australian line-up to take the battle up to the international contingent when racing gets underway at Jimboomba, this weekend. The CDR Yamaha, Serco Yamaha and Yamalube Yamaha Racing will be out in full force throughout the six-round championship and all three teams have burnt the midnight oil to prepare for the championship opener at Jimboomba, after only a quick three-week turnaround from the finish of the motocross season. Starting in Jimboomba, the series moves onto Toowoomba, Adelaide and Melbourne before the final double header weekend in Sydney on November 11 and 12. CDR Yamaha are in the unique position of currently holding the Australian Supercross Championship crown after Dan Reardon won the championship in 2015, as well as the current MX Nationals crown with Dean Ferris winning this years’ championship just a few weeks ago. Both are Yamaha YZ450F mounted and will be out to take all before them when the lights go on in stadiums across the country. Reigning champ, Dan Reardon is back in the saddle after undergoing knee surgery that sidelined for the last half of the MX Nationals. Reardon has gone through an extensive rehab program both on and off the bike and now is six weeks back into full training and starting to feel good about his riding. A natural on a supercross track, Reardon is expected to lead the Australian charge against an army of imported riders to contest the championship. Dean Ferris is juggling his supercross preparation while still in motocross mode as he will represent Australia at the upcoming Motocross of Nations, the week following the Jimboomba event. Ferris, who hasn’t raced supercross in some time has adapted quickly to the smaller confines of a supercross track and invested in his own track to ensure he is well prepared. 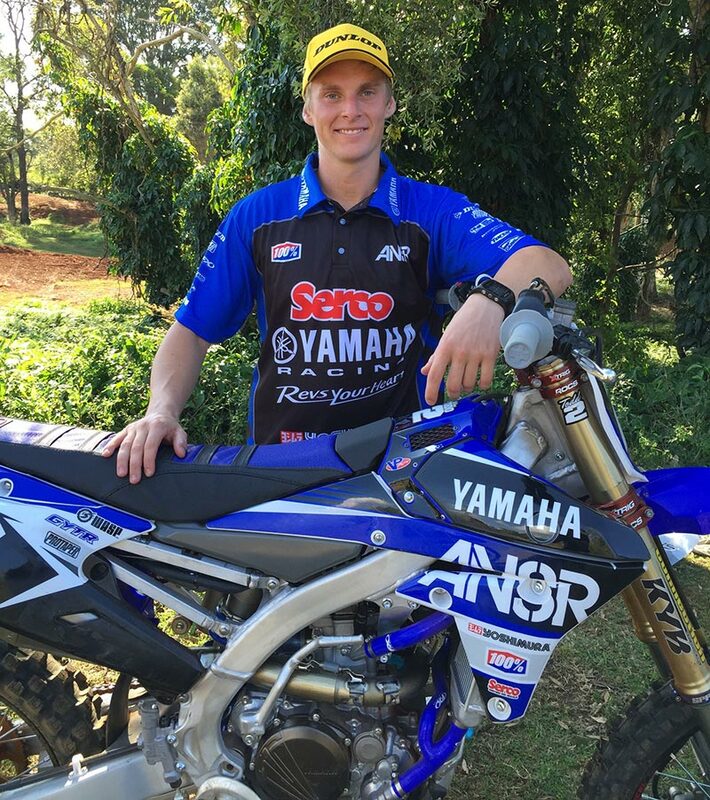 Serco Yamaha will field a three pronged attack for this 2016 supercross championship with Jackson Richardson joining current team members Wilson Todd and Wade Hunter. Richardson, who hails from Cairns in North Queensland, has been in the USA in 2016 but has returned home to contest the championship and looking forward to racing for the Serco Yamaha outfit. Wade Hunter was drafted into the Serco Yamaha team on the back of his 2015 supercross results and after a disappointing motocross season, Hunter is out to get his season back on track and looking to put his YZ250F on the podium starting this weekend. 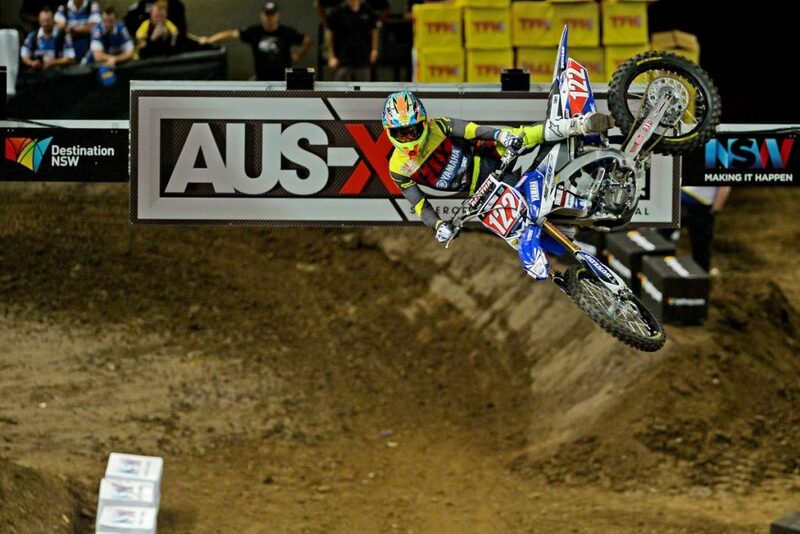 Wilson Todd might be the youngest rider on the team but the 18 year old has extraordinary supercross skills. With corner speed to burn and a fearless jumper Todd will surprise those who have not seen the young gun on a supercross track. At the age of 16, he racked up a Queensland supercross championship win against the established SX2 riders while he missed last years’ championship with a knee injury. “All three riders are talented supercross riders and have shown in the past they can win races. Jackson comes to the team after he returned home from the US last month and we are proud to support him. Wade rode well last year and has been working hard while Wilson is dealing with a hand injury at the moment but when he is back to full strength, he will be a standout,” says Serco owner, Gavin Eales. With the SXD category (under 19) not proceeding in this years’ supercross championship, Yamaha’s official development team will step up both their riders into the SX2 division and fast track their supercross skills. Mitch Evans is the 2015 SXD champion and enters this years’ series confident after winning the MXD class at the MX Nationals just a few weeks ago. Evans preparation has been interrupted as he has been studying hard while completing his year 12 education but with no pressure in this years’ championship, Evans might make a few of the established SX2 riders look over their shoulder as he comes to grips with the rigors of professional racing. Jordan Hill knows his way around a supercross track and finished with 2-1-2 results in the three round he competed in last year. 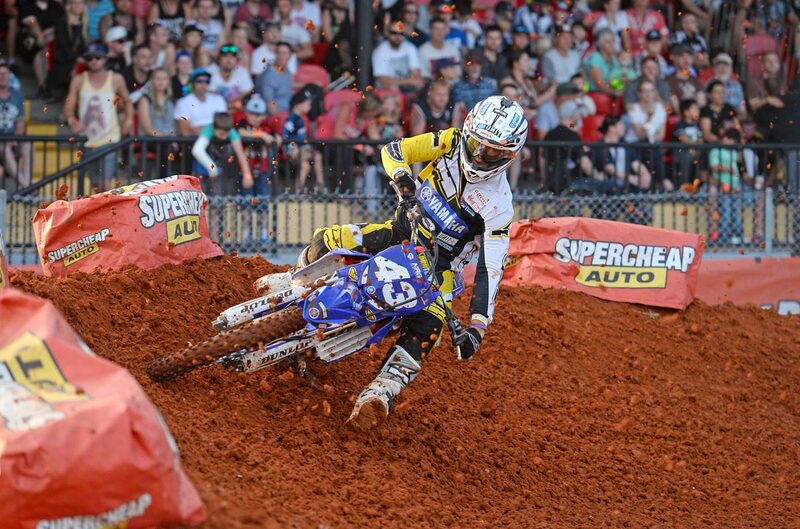 Hill was also the 2014 Australian Junior Supercross Champion. Jordan has been hard at work with his training knowing that the extra intensity supercross brings means explosive speed will be a vital ingredient in this years’ championship. “We enter this years’ championship with no serious expectations and plan on just working with the riders to increase their supercross knowledge and skills,” explains Team Manager, Scott Bishop. “The SX2 class is pretty competitive and while I know our guys are very capable, it is the established riders who need to lock down the results while we give our guys valuable track time and experience to learn their craft,” Bishop ends. The opening round fires into life this weekend at Jimboomba, just south of Brisbane, this Saturday Night. Gates open at 4pm with racing starting at 6pm.